Is my profile good enough for a chance in any program? 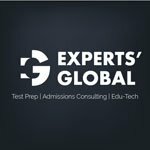 If yes, then is my GMAT score sufficient or should I retake it? The nature of your work looks good in that you don't seem to have restricted yourself - design can otherwise be pretty myopic as a department. Make sure you bring out the cross-functional aspect of your efforts well in the applications. It will be important to develop more sharpness and clarity in your post-MBA plans. Strategy planning in what kind of companies/sectors for instance? These are the better options for one year MBA programs in India. There isn't really a magic minimum GMAT number really. That being said, think about your competition from NITs/IITs - they are amongst the highest test scores out there. Given that perspective, the current score is likely to be a pretty big handicap and a retake would definitely be highly recommended. There would be quite a few options for you within India- ISB, IIMA, IIMB, IIMC and the other lower ranked IIMS as well. Given that you may have a good number of applications to write, a GMAT retake would have definite benefits. Also, do you have any extra-curricular involvements? If no, then now is the time to get involved. My recommendation would be to purchase a number of "advanced" GMAT verbal books and work your way through hundreds of questions. 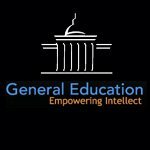 Did you happen to generate a detailed report when you took the GMAT? Find out which section of the verbal in particular is giving you issues. It shouldn't be that hard to bring up a 33V to something like 35-36V. Re-take the GMAT only after your practice tests are improved in this section and you feel a greater confidence going in! As it stands could you gain acceptance to a 1-year program in India? With the right story and positioning I think you could. There are a number of ways around a low-ish GMAT score, but do keep in mind as others have said the competition in country is fierce and scores tend to be very high. Thanks for sharing your profile. I agree with the opinion shared. I would like to suggest you retake GMAT and work on improving your verbal part. Being an applicant from the IT pool, one should always target to add a minimum of 20 points to schools average score to stand an edge within the cohort. I hope you can do better in the verbal section after all your quant and IR are pretty decent already. Academic arc looks perfect, considering your institution and GPA. L&T being a Fortune 500 company and your work experience out of the box there is no restriction bound which shows a clear picture of your enthusiasm and self-motivation towards work. Having said all above, it's not just the number's magic. While adcom evaluate your profile they also look into extra curriculum part, which plays a major role in getting a positive response from the schools. When you descend to essay part, you need to make sure you bring out your achievements, responsibilities and extra curriculum if you had any or start immediately to work your EC's. Considering your overall profile you're suitable to apply for a 1 year MBA program from INDIA. You could look at ISB and almost all the IIMs. However, we do recommend that you retake the GMAT. A higher score (around 720) will help boost your chances.